There’s a saying that goes “the first time’s the hardest,” which seems to imply that after that, it’s smooth sailing. Well, that might be true for alot of things, but I didn’t feel that way after my editor gave me my next assignment. Talk about knobbly knees! I straight up did the James Brown — I broke ‘out in a cold sweat’! RN: I was raised in the church. My dad pastored for many years and my mom was an educator who really taught a lot of core values about life, about what I needed to do to gain what I wanted in this life. I took hold of that. Now that I’m raising my own, I find myself going right back to those same roots. Robert acknowledged that, at first, he didn’t know his path would lead him to music. 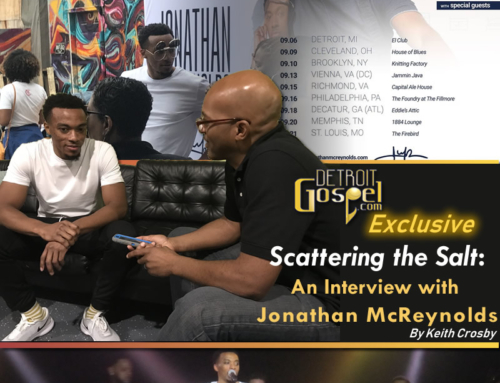 He followed his parents’ advice to focus on his education at Jackson State University, on scholarship, which is where he reconnected with gospel music. RN: I found gospel music very fulfilling. It was only after other people began to notice something about what I was doing that I began to think about it. It was never a pre-set plan. DG: So here you are with a brand new, self-entitled CD. How did it come about? RN: I was visiting family in Mississippi, two years ago, ran into a friend, Joe Whitfield (who produced this project). He told me about a company he thought I’d be perfect for. We toured the studios, came home, told my wife about it, and we prayed. In March 2003, we signed with Grace Records, which was just a red-letter day on behalf of what I believe God was doing. Robert stressed that it’s truly God who directs your footsteps. Of course one can’t climb a mountain without encountering some rocks, so Robert discussed some of the trials he’s faced while on this musical journey. RN: Well, I can definitely say when you trust in the arm of man, that will let you down. I had an incident in the mid-80’s while we were with JSU _Expression (ensemble that specialized in jazz, big band and Broadway music). We’d cut a single in Jackson, which was used at the 75th anniversary of the NAACP. We traveled to Kansas City to perform. We performed, went back to the hotel to find everything we had purchased gone, including the manager, administrative assistants…. At this point we’re all laughing because this seems to be a familiar story among artists! ….Here we were stranded in Kansas City, all we could do was look at each other and say, ‘What happened’? He went on to say, too, how frustrating it is when an artist sends his product out and gets no response. RN: I had to see those type of things happen. I had to know there would be pitfalls along the way, but if it’s truly something that’s inspired and birthed by God, it will come forward. Robert graciously acknowledged that his project is being received very well and let us know how it could be obtained, and what he wanted people to get from it. RN: Well, first I hope they buy it! We want them to get the project! (laughing) No, in all seriousness, we want them to take away that this was a project that was really birthed. I hope that they can take away from this that in their quiet time, to reflect on where they are in their lives, to know that there is God and He’s love. I speak a lot on that, and we did that for a reason. Companies are failing, there’s war and a lot of things are happening around us, but to know that God is love. That’s what this project is about. We’re at God’s World Records. We’re also at Jazz & Jams, in Southfield and we’re also online at www.CDbaby.com. That’s basically the way we’ve been doing it, other than direct sales. It’s been a wonderful 90 days since the project has come out! At this point, DG decided to have a little fun with Robert. We wanted to ‘flip the script’, if you will. Mary Crosby, Editor, is cracking up, and so is my good friend, Bernadine! DG: Now, what was this? ( I put my finger to my mouth, imitating Wallace) What was that about? RN: …quieting the crowd, you know. He’s like, ‘hold on, we got somethin’ for ya! Wait….wait’ I hope Rasheed stays in Detroit. He’s got a 1-year contract as I understand, and I hope he stays here because the fans love him. So what does he think of Detroit Gospel.com? RN: I was telling Mary when I first pulled the website up, that it was the first time I’d seen such a comprehensive website, based solely on local artists in Detroit. I thought it was magnificient. God has really answered a prayer. For more information on Robert Norwood you can go to Grace Productions’ website: www.gracellc.com. 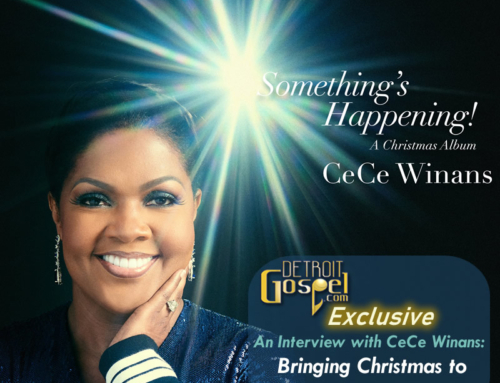 Closing: Detroit Gospel.com had a good ‘ole time interviewing our featured artist! He thanked us, we thanked him and told him God’s gonna use his new CD to elevate his ministry, bless the body of Christ, and the world. He received that! We urge you to support this brother and buy his CD. It will, truly, be a blessing to you! We truly thank Robert Norwood for his graciousness and willingness to share his ministry with Detroit Gospel.com. We also thank June for the wonderful interview and engaging write-up. To Our Readers: Robert Norwood’s debut CD is a joy to listen to (hear samples below). If you can’t experience Robert’s music ministry in person, you can still experience it on his self-titled CD on Grace Productions records>> Click Here To Buy Robert Norwood’s debut CD .